GO BOX Storage wants to help with your emergency preparation. 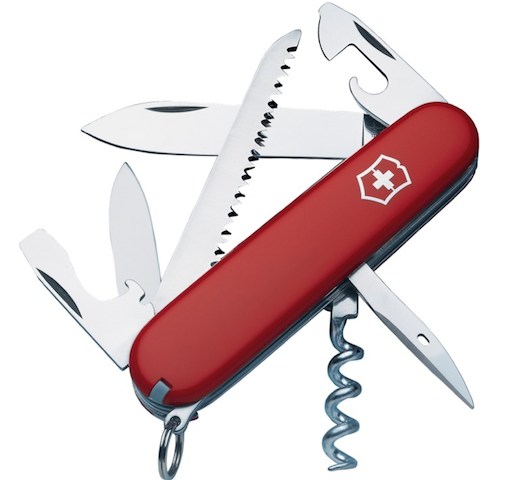 GO BOX Storage is giving away a Victorinox Camper Knife on Facebook on April 11, 2014. Many people believe that if a serious emergency occurs the government will come in an rescue them and their family. But many emergencies have overwhelmed government resources and people have suffered needlessly. This Emergency Preparation Series is to help your family be better prepared for an emergency. SOS TIP:GO BOX Storage believes emergency preparation needs to happen on the household level and should not be left to government. To help with your emergency preparation, GO BOX Storage is having a number of giveaways on Facebook. Like GO BOX Storage on Facebook and get a chance to win! Updated October 23, 2014: This documentary is about the aftermath of the flood in High River, AB. It is worth watching to get a sense of what your family may face in an forced evaluation. It is also a bit of a cautionary tale about what can happen when the government thinks it knows what's best for people, and using the force of law doesn't allow people to help themselves and protect their own private property.